It is natural to turn one's very passions against the demons,70 and the monk is aroused to go into the wilderness to fight the demons who inhabit it.71 The notion of the wilderness, the desert as a dwelling-place of demons, is common in ascetic literature, perhaps going back to Leviticus 16:22. The retreat into the desert is not a negative gesture, a form of escapism, but a positive counteraction to demonic forces in "outer darkness". The demons try in every way to drive the monk back into the city.72 But in that confrontation there is a promise of encountering God. It is a promise given in the tormenting trial of strength between good and evil in which God participates73 and in which, as John says, the demons try "to dash [their victim's] foot against the stone" (Ps. 91:11 and Mt. 4:6).74 The monk turns into a martyr or a confessor. 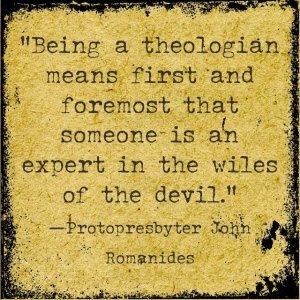 While there are no recipes or patent stimulants for pursuing the spiritual warfare, there are ways for sustaining it. The Macarian Homilies speak of prayer which "burns the demons like fire melting wax,"75 and John sees the monk standing "with feeling of heart before God in prayer, and none of the...demons will make sport of him. 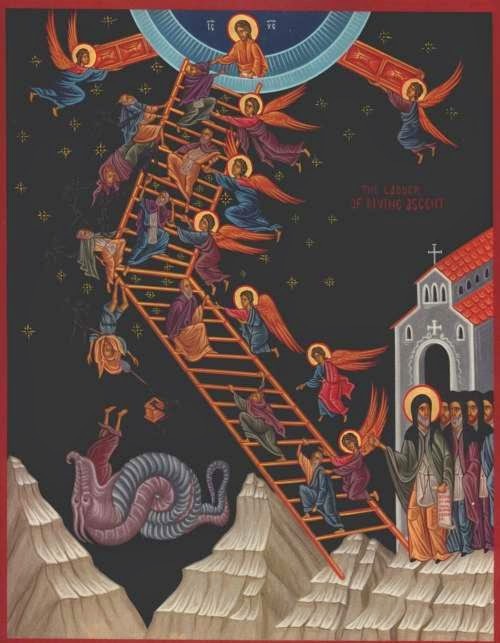 "76 Above all, they are disabled by humility, which can turn even demons into angels.77 John keeps away from the question as to whether the demons could actually be saved - a matter which Gregory of Nyssa seriously considered;78 but them Climacus is overwhelmingly concerned with man's salvation.